This quick party game starts with a roar, combining elements from classic card games with set collection and a dash of "take that" strategy. Coming to Kickstarter June 19th, this game will make a great addition to any camping trip or tabletop game night. 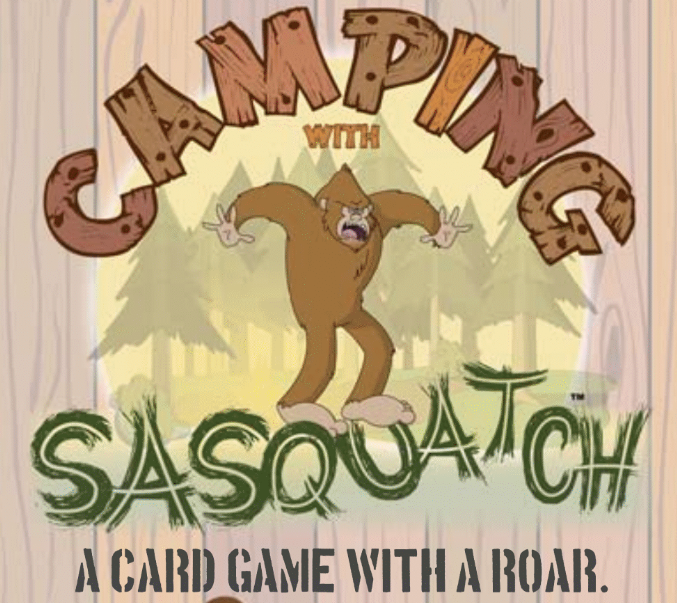 Camping with Sasquatch is a straightforward set collection game with the addition of the anticipation building Sasquatch cards. Players will place activity cards (swimming, telling ghost stories, etc.) and all of a sudden a sasquatch card will show up and mess with your plan causing everyone to race to be the first one to match colours with the Sasquatch. Players deal out seven cards each and place three cards face up to create the play area. Players then draw a card, and play two, trying and create sets of three either with the same picture or three completely different pictures. If a Sasquatch card is drawn from the main deck the player yells, "Sasquatch," and all players must play a card of the same suit. The player who cannot play or is the last one to put down a card of the same suit has to pick the stack up. 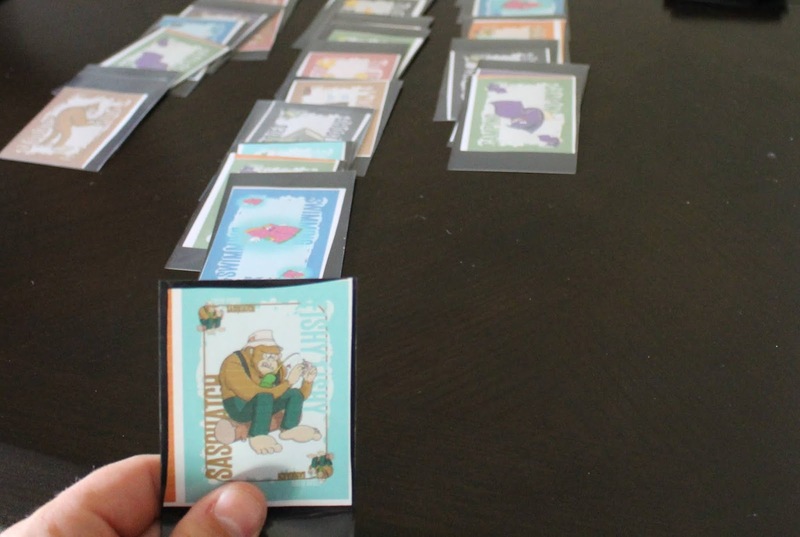 The game ends when a player runs out of cards and the score is tallied based on the number of cards in your hand and the number of sasquatch vs. activity cards in your collected sets. Camping with Sasquatch is a great filler/party game. While we have only played the two-player variant and are likely missing out on even more sweet player interaction we felt like this game packed a punch (Sasquatch?). Playing the game there was definitely some anticipation around getting the Sasquatch cards, especially when hand size was smaller. While the rulebook was missing a few key things, this will likely be cleaned up for the final version. This would be a wonderful game to play around a picnic table or even at a board game night. We will definitely be following the progress of this game as it hits Kickstart this Monday. Don't forget to check it out here.